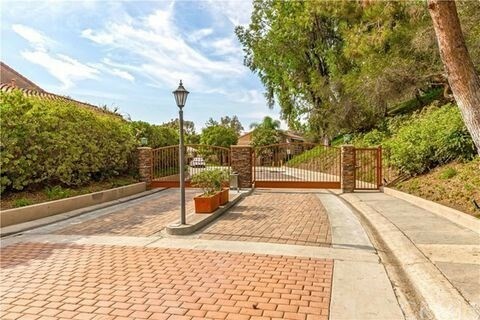 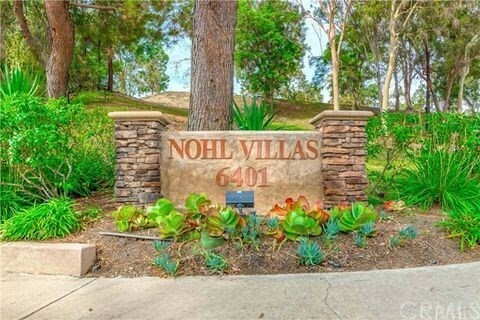 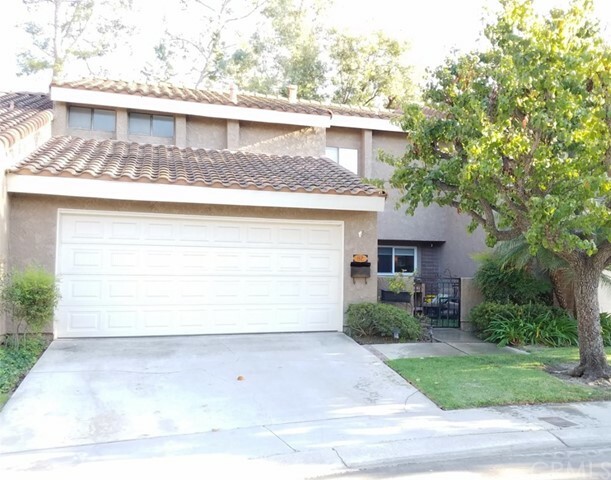 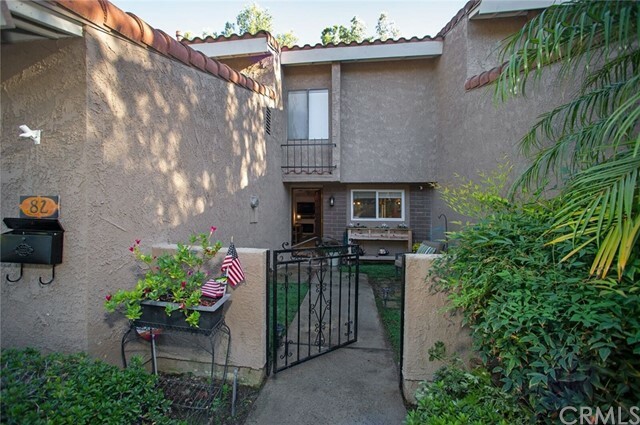 Remodeled single-family residence, located in the desirable East Nohl Villas gated community in Anaheim Hills. 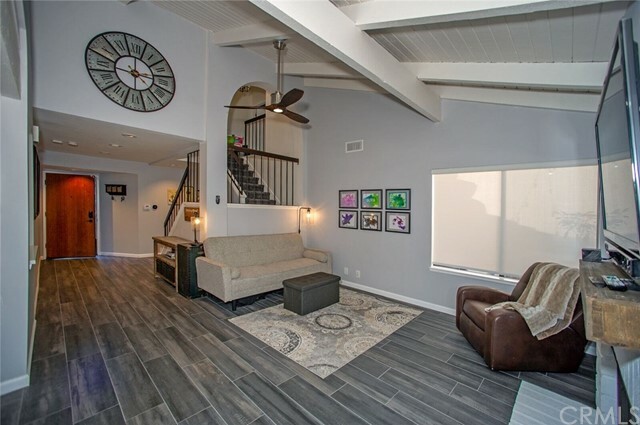 This 3-bedrooms, 2 3/4 baths home with a open floor plan, boasts 1 bedroom and 3/4 bath downstairs & 2 bedrooms 1 3/4 baths upstairs. 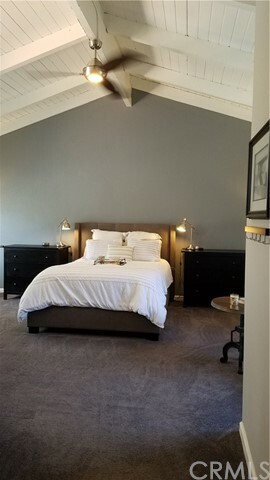 The large master bedroom has vaulted ceilings, en-suite bathroom with separate closet/large vanity, separate toilet, soaking bathtub & shower. 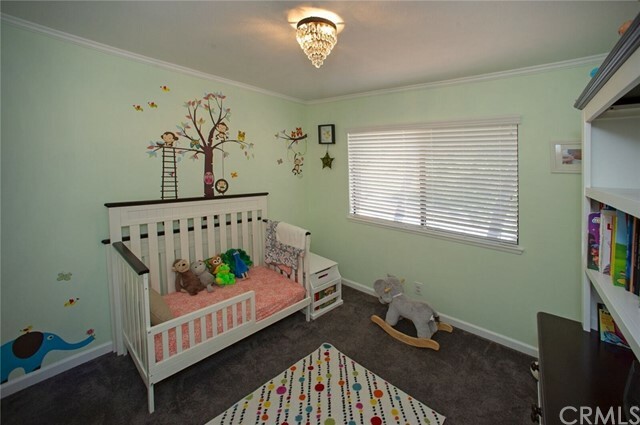 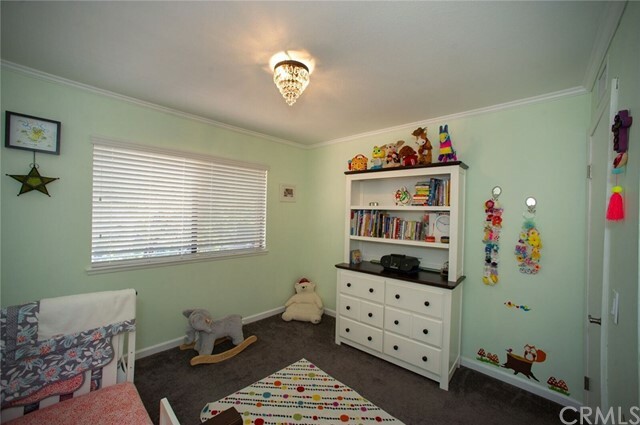 2nd bedroom upstairs has a large closet & adjacent 3/4 bath. 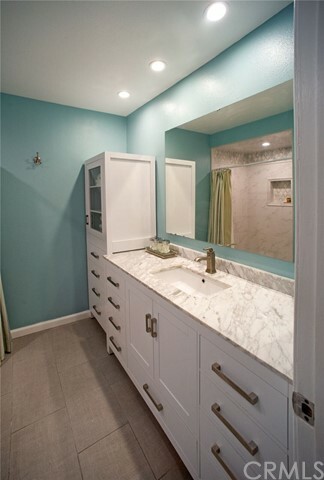 Bathrooms feature new vanities with marble counter tops & porcelain & marble shower tile. 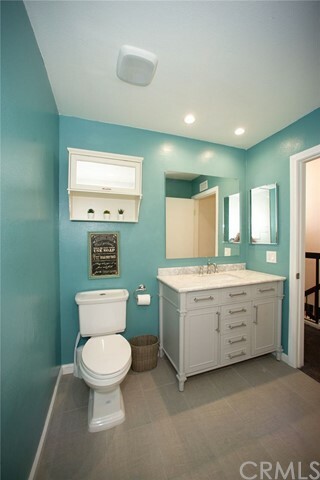 Updated plumbing with water softening system. 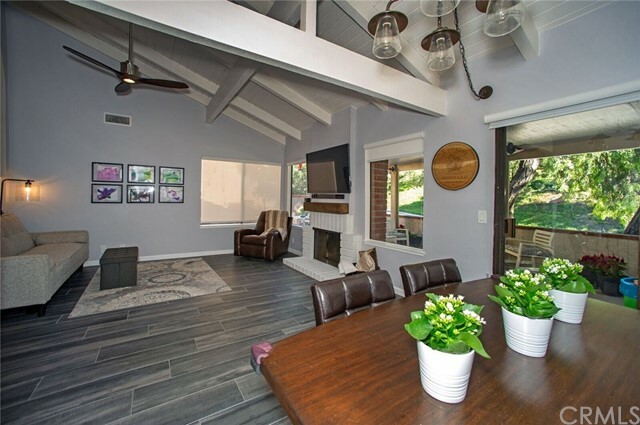 The living room/dining area has vaulted/beamed ceilings, lots of windows & a slider leading to the patio. 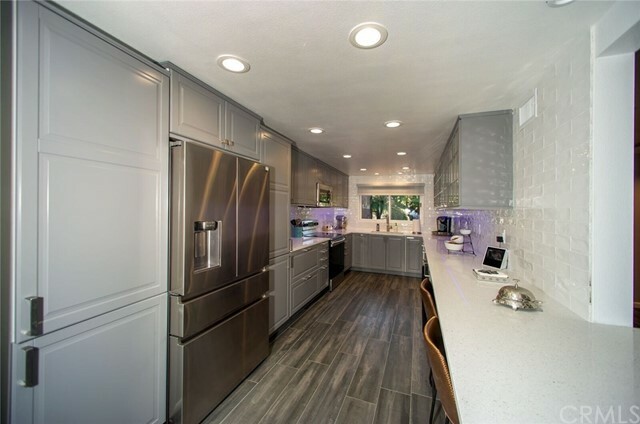 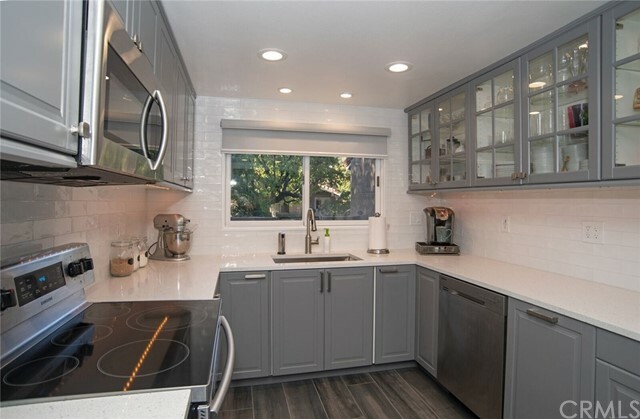 The remodeled kitchen features quartz counter tops with stainless steel appliances & built-in wine fridge. 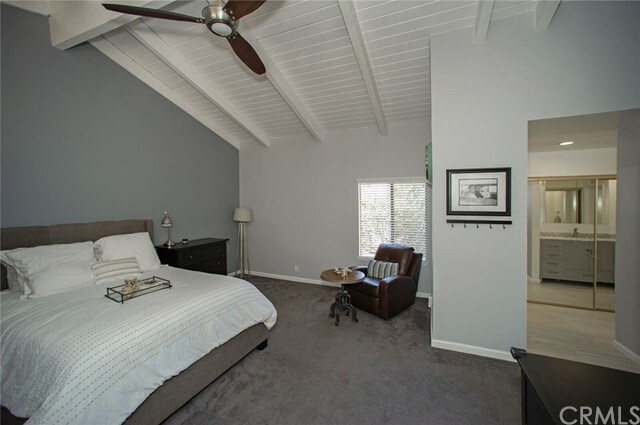 The downstairs bedroom has a closet, storage, and a slider leading to the patio. 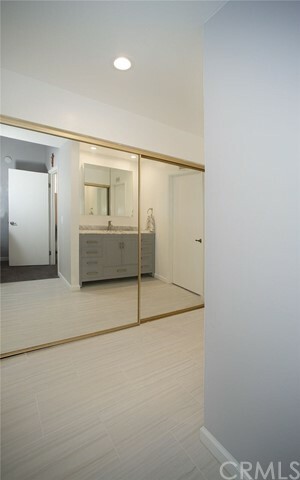 All rooms feature upgraded electrical with recessed lighting. 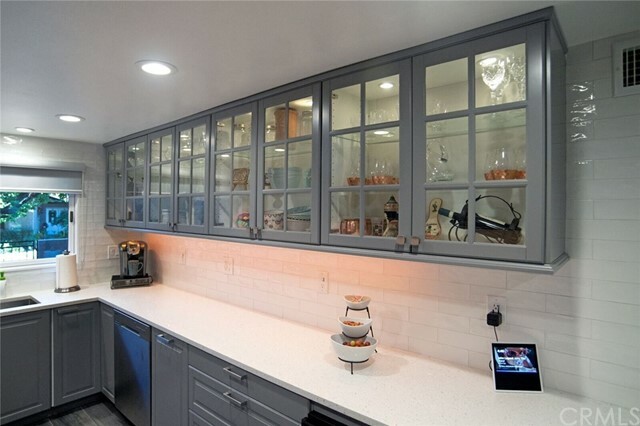 This fantastic house is also a Smart-Home (Alexa) enabled with a voice-controlled, so that you can control the kitchen, bedroom, thermostat, patio lights, and entertainment system. 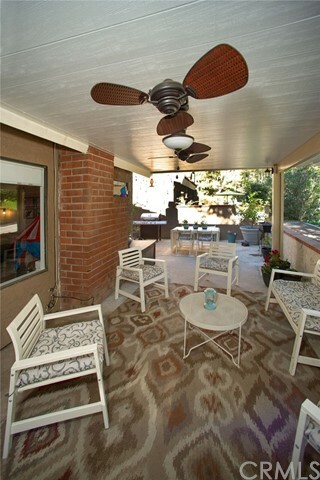 The covered patio features new aluminum wood-grain look with insulation, power outlets & a double ceiling fan. 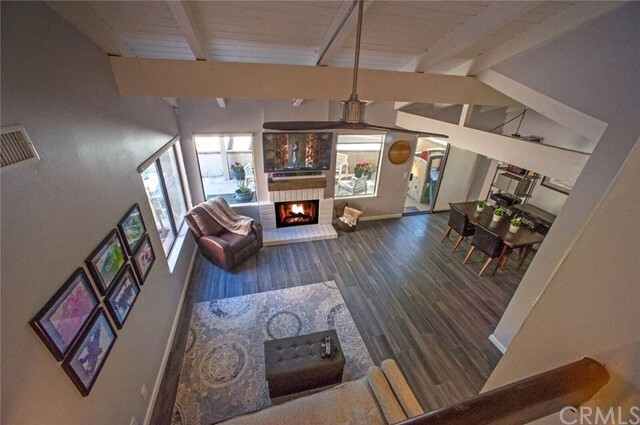 The 2 car garage has overhead storage, laundry hookups, & a driveway. 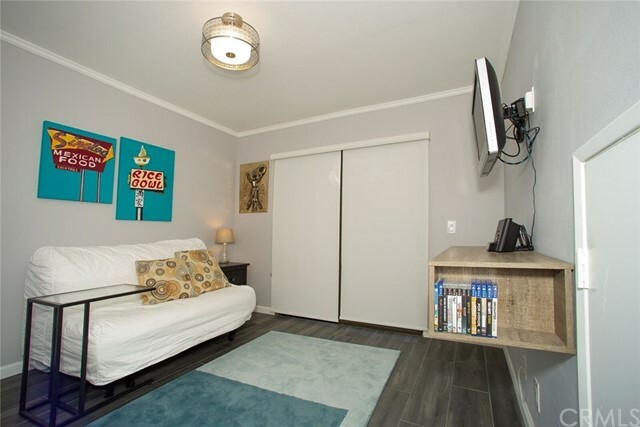 There's central air conditioning/heating and a newer water heater. 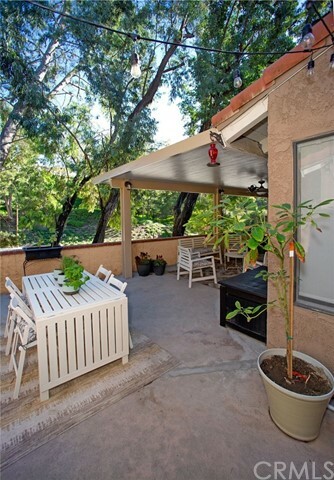 The neighborhood overlooks the Anaheim Hills golf Course and is steps from the Oak Canyon Nature Center.